Yaddo has a beautiful story and is now an artists retreat, which housed many famous writers, and still does. The gardens are open to the public and free of charge. Read the history as you stroll the grounds. The rose gardens, greenery, fountains and Italian marble statues are beautiful. Gardens are totally taken care of by volunteers. You can spend as much or as little time as you want. It is a beautiful, calm, peaceful afternoon. Beautiful place in any season! Originally built by Spencer Trask for his wife, Katrina, this is now a free public park. 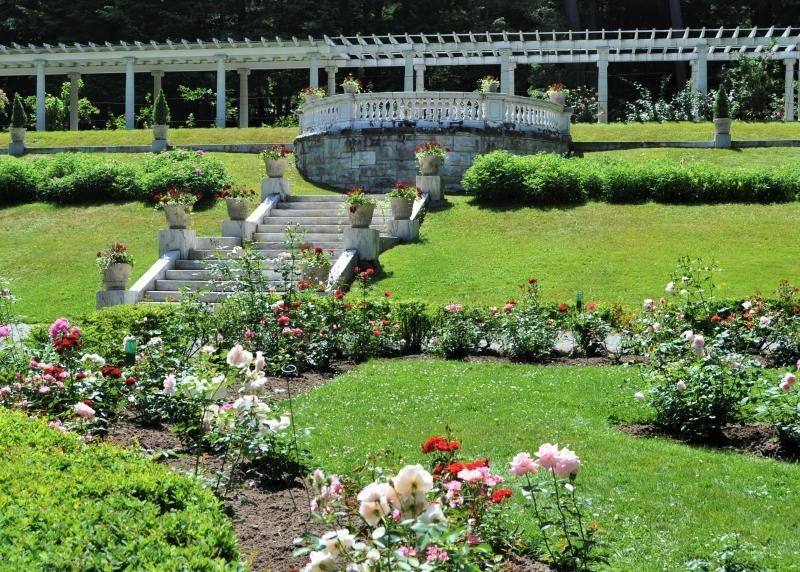 There is an extensive rose garden, where many a wedding has taken place. Behind the roses is a long Pergola structure. Behind that is a Japanese zen garden. There are benches, long green lawns, many trees. At the entrance are fountains with goldfish in them, as well as in the rose garden. Behind a gate is the Yaddo house, to which artists must be invited in order to live there and create their work. Many famous artists have produced works here. On the outskirts there are three connecting ponds. These are just gorgeous – you can’t help but get good photos here! Definitely worth a visit. You can and should have lunch on the lawn. Originally from Ohio, Natalie Kendrach currently lives in Ballston Spa, New York with her husband (Mitchell), daughter (Olivia) and son (Henry). 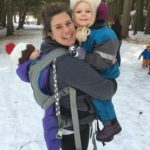 She is one of the Branch Ambassadors for HiB Capital Region NY and HiB Southern Adirondacks, as well as, a volunteer for the National HiB Blog and Calendar Teams. When she’s not on the trail, she enjoys sewing, reading, traveling, sailing, camping and photography. It is just adjacent to exit 17 of I-87, just down Union Ave from the very famous racing track for thoroughbred horses.